Gov. 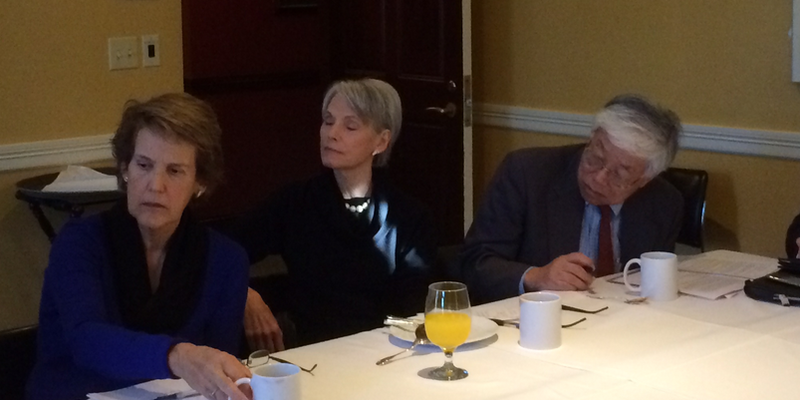 Dukakis: Good morning. My name is Michael Dukakis. I am the former Governor of Massachusetts and the Chairman of the Boston Global Forum. We want to say thank you to all of you for joining us in another of these fascinating, interesting, and we hope very productive online international conferences. We want to thank, in particular, two old friends, Joe Nye and Ezra Vogel, both of whom know a great deal about this subject and will be joining us and will be participating with us. John Quelch, who many of you recall moderating our first international conference on the subject of occupational safety and health standards internationally, will be doing a fine job moderating things; and to all of you who are here in Cambridge and across the globe who have participated with us. The Boston Global Forum has been designed to focus on particular of great importance internationally – one of those is occupational safety and health standards. Today we are going to be beginning a series of three conferences on China, Japan, and the United States, and more broadly the world, and how we deal with this set of issues. I don’t have to tell any of you that this is an area of great importance, it always has been, but there are problems involving claims to islands, territorial claims, and a variety of things that are causing conflict. One of the things we want to do today and in the future is focus on this and see if we can find ways to resolve those issues. So, for that, we have invited all of you to be a part of this, we look forward to it. We’ll have a good, lively discussion for the next hour and a half but we intend to continue this work and return to this forum at least two more times in the course of the year and see if we can’t lead a constructive debate and dialogue that seeks to resolve these kinds of issues and does so peacefully and effectively. Having said that, welcome again and now I am going to turn the proceedings over to Professor John Quelch of the Harvard Business School and he is going to moderate our discussion. Professor John Quelch: Thank you very much, Governor. Good morning to all of you around the world in Tokyo, London, China, and beyond. We have a really excellent treat for you this morning because, not only do we have Professor Joe Nye of Soft Power fame and former Dean of the Kennedy School of Government here at Harvard with us, but as a special bonus for all of you who got up so early or are staying up so late wherever you are, we have Professor Ezra Vogel who is the distinguished Harvard professor and definitive biographer of Deng Xiaoping. What we’re going to do is to start our discussion with 10 or so minutes of introductory comments from Professor Vogel and then we may slip in a question or 2, and then we will do 10 minutes of introductory comments from Professor Joe Nye. We will then proceed with the discussion thereafter. I am very proud and honored to be able to introduce now Professor Ezra Vogel. I’m not sure how many copies of that wonderful biography you have sold, of Deng Xiaoping, but I am sure that it is more than the number of people who have read it from one end to the other – it is a very, very heavy book, but a wonderful thorough appreciation of a great 20th Century Chinese leader. Professor Ezra Vogel: Well, the quick answer is 50,000 through Harvard and 720,000 through Beijing. So far, it’s only been out 1 year in China but it was the best seller by a foreign author last year. What I thought would be most useful, and the way Joe Nye and I have decided to divide up the duties, is that I will talk about China’s relationship with Japan and then Joe would bring in the United States. I think the simplest way of providing context for all this is to trace the quick history from the time when China and Japan normalized relations in 1972 until the present day. In 1972, you remember Nixon had had gone to China and the Japanese were afraid that we were going to get ahead in the China marketand they wanted to move very quickly, and they did. And so, Tanaka went to China and within a few days of meetings he normalized relations very quickly without resolving all their ordinary problems and resolving normalized relations, so relations could not really develop very well. Then, when Deng Xiaoping came to power in 1978 he realized that in order to really develop they needed cooperation, not only from Europe and the rest of the world, but the two main places he needed help from were the United States and Japan. He decided to work hard to finish the normalization process with the United States and to upgrade the relationship with Japan and sign the Treaty of Peace and Friendship which then meant they could then move ahead to all kinds of trade and exchangeissues on a much broader scale. In October 1978, just 2 months before the famous Third Plenary launched reform, he went to Japan for a week – in the 2,500 years of contact between China and Japan, this was the first time a Chinese leader went to Japan; it was the first time in history that a Chinese leader met the Emperor. Deng Xiaoping felt that he had to have a broader base for relationships than just the pragmatic business relationships. He wanted the business relationships, he knew he needed investment, he visited while he was there: the Nissan plant which had just introduced robots, the [inaudible] which would be able to help build TV sets and modern electronicsin China, he visited Kimitsu Steel Plant which was the model steel plant and became the model for the first modern steel plant in China, he took the first ride on the fast train, now China has more but at that time it was the first time a Chinese leader rode on one of those, but he succeeded in laying that basis. And he insisted that China not only introduce technology but introduce novels, that they introduce literature, they introduce TV programs, introduce TV series. People who were educated in the 80’s in China we able to see real movies. When he met the Emperor he expressed satisfaction that the Emperor had rejected the path of World War II and just as with domestic issues, just like the Cultural Revolution, Deng said “don’t argue, get on with the future” and that’s what he said about international issues also. You don’t just argue, you get on and you think about the future. In 1980, when they did a public opinion poll in Japan on whether they had a favorable opinion of China or not, the Japanese had a 78% favorable image – now its 90% unfavorable. What happened? Of course, 1989 the Chinese lost popularity around the world and they lost it in Japan also. From 1989 to 1992 Japan played a very special role in China because as China was trying to break through the sanctions that were imposed by all the outside countries the country most willing to help them out was Japan. So, they pulled their punches on Japan. But, after 1992 the situation then changed quite dramatically and Japan began to be the object of targets of Chinese denunciations. If we look at the broad changes that occurred there was of course the collapse of the Soviet Union and the end of the Cold War, so it was no longer important for Japan to be united with China and the United States in the Cold War. Also, after the Tiananmen incident the Chinese leaders were worried about the public support for the leadership of the Communist Party and they started an education program to teach greater patriotism to the people. When they started that campaign the thing that, of course, was most successful in creating a patriotic mood was World War II and what the Japanese did in World War II. There’s a history to that because in World War II the Chinese Communists had made patriots of anti-Japaneseness amongone of the most central parts of their program to build support. Therefore, the propaganda department began showing all kinds of movies of World War II, replaying like what we used to show American Indians when Mike and I were kids, and those were everywhere – it was in school, in the Japanese-American history, and museums were built. So the population that was in the ‘90’s had a very different attitude. Also, I think there were international issues. China was worried about Taiwan becoming too independent, and that was the time when the independence movement was really on the rise. Because the Japanese had such close relations with China’s Taiwanese since 1895 that was a real worry. So part of the anti-Japanese movement was to separate it off. So, that laid the basis for the growing anti-Japanese boom and by the early 2000’s they, Japan and China, began to quarrel over all kinds of issues. That came to a head in 1998 when Jiang Zemin visited Japan and the Japanese Prime Minister said that he would not stop visiting the Yasukuni Shrine. It was popular, of course, in Japan to say that they are not going to be pushed around by China. So, the situation we have now is that China has begun to feel stronger – they feel that they have a military; that their economy is past Japan; and that they feel they can push harder and be more successful. The Senkakus happen to be the current focus, but I think the only way to understand the issue is in the broader context of the relationship and the history between the two countries, Chinese attempting to build patriotism, and we now have a situation where there are constant little battles, air planes and ships near the Senkakus, or the Diaoyus as the Chinese call them, and those problems are really intense – we have Chinese leaders refusing to meet with Japanese and we have misunderstandings. The Chinese have been winning the propaganda war because, instead of focusing world attention on the pressure on the Senkakus, they have focused attention on the Japanese who have nationalized the islands, who bought the Islands, they have focused on history with the visit to the Yasukuni Shrine, and the Japanese been vulnerable because they [inaudible] because they have not done enough to give international publicity to what they really believe and that is that they did wrong in World War II and domestically they are quite clear about that. International publicity is a problem. Right now I think there is hope for a little bit of improvement. The hope is from Hu Deping visiting. Hu Yaobang was the man in the 1980s – number 2 in China – who was in charge of the youthexchange. He had many youth exchanges with China. One of the things he was criticized for when he fell in 1987 was inviting 3,000 Japanese youth. He had a very good relationship with Nakasone. His eldest son, Hu Deping, has just visited Japan. It happened that Hu Deping, who just visited Japan, is a close youth friend of Xi Jinping. This is a clear signal, Hu Deping going there, seeing the leaders of the Chinese are willing to consider, and that it goes right to the top. It just happened that I met Hu Deping for 4 hours in January and he’s not knowledgeable on the Japanese issue in detail – he’s not someone who can play the role of the detailed foreign relations expert – but he has the contacts and the political position and the family connections that he can play a big role. There is a slight chance that by the APEC meeting this fall, if things are handled well – and I also understand that from somebody saw Abe last week – that Abe himself is much more confident that he has stood up to the Japanese last year, he proved himself that he’s a tough guy, and that he’s really ready to be quite pragmatic. So that’s the broad context. Prof. Quelch: Thanks very much, Ezra. May I just offer one quick follow-up question and that is: to what extent do you feel that there is pressure on the leadership in China from behind the scenes from the military wing, if you like, of the party to engage more intensely in these actions in the South China Sea and beyond? Prof. Vogel: There are things we don’t know about the military and we’re all guessing but I think the best information we have is that, yes there are some people in the military who feel that they haven’t fought a war and that ever since 1894, when they lost to the Japanese, they’ve been absolutely humiliated and they’re now strong enough. We do see statements coming from certain military leaders, published in their own publications, that suggest that they’re ready to take on the Japanese and that they can win. I think there’s no question that some people in the military have that view and it’s therefore the responsibility of the top political leaders to keep that under control. I think there was a danger in the latter days of Hu Jintao that it was almost getting out of control and that he did finally bring that under control. But I think the dominant view now is that with the Obama visit with Xi Jinping, that finally the military in the United States and China can begin to talk to each other and can begin to get that under some kind of control. Prof. Quelch: Well, thank you. Let’s turn now to Professor Joe Nye, if we may, to look at the perspective of the relationship between Japan and the U.S.
Prof. Joseph Nye: Thank you, John. I must say, I have to congratulate the Boston Global Forum for its timing. The idea that we would have this session at the same moment that President Obama is in Japan reaffirming the U.S.-Japan alliance is extremely interesting timing. Basically, the Obama Administration’s policy, which originally was called a “pivot” toward Asia but which was rechristened a “rebalancing” toward Asia, reflects the fact that the United States wasted the first decade of the 21st Century mired in places like Iraq and Afghanistan at the time when Asia was the dominant part of the world economy – dominant in the sense that it was the most rapidly growing part of the world economy. I think Obama came into office with a strong commitment to reestablishing the U.S. presence in Asia. In fact, he sent Hillary Clinton as Secretary of State to Asia for the first trip by the Secretary of State, which was unprecedented. So, he’s had an interest in Asia for some time. But the original term – pivot – was a misnomer, which is why I think they quickly got away from it because you can’t suddenly pivot away from the Middle East or Europe, as we are seeing today with Syria or Ukraine, but it doesn’t mean that you aren’t, for a long-term strategy, placing more emphasis on the position of Asia. In fact, if you go back to the Clinton Administration in the early 1990s, much of the outline of the current American policy toward China and Japan was done at that time. At that stage, there were people in the United States who were noticing the dramatic rise in the power of China, because of the growth of the Chinese economy, and there were some who argued that the United States should try to contain China before it was too late. That was never a viable policy for two reasons. One is that it would have been virtually impossible to organize an alliance of countries to contain China. Most other countries in East Asia want a reasonable relationship between the United States and China and China and Japan. So they weren’t about to form a new South East Asia Treaty Organization or a East Asia Treaty Organization or anything of that sort. But the other reason it didn’t make sense, as a strategy, to try to contain China was that, if you opted for containment it meant that you were opting to treat China as an enemy. If you treated China as an enemy you were guaranteed to get an enemy, whereas if you held open the question that China could be integrated into the international system you might have a reasonable relationship with China and I think that bet was a good bet. It’s also true, however, that while we wanted to integrate China into the international system we also realized that nobody knew how China would behave, including Chinese leaders, as it became more powerful and that it would make good sense to reaffirm the U.S.-Japan security treaty as an insurance policy for the United States and for Japan, and that’s essentially what happened. In 1996, Clinton and then-Prime Minister Hashimoto issued a declaration in Tokyo which said that the U.S.-Japan security treaty was the basis for stability in post-Cold War East Asia. Before that, some people in both countries, in the U.S. and Japan, had said that the security treaty was a relic of the past – it was a relic of the Cold War – and we should let it die. Our feeling was, at the time, when Ezra and I worked together on this in Clinton Administration, our feeling was that keeping the U.S.-Japan security treaty was a wise insurance policy so that the approach of the policy overall that the U.S. took toward China and Japan was one that you might summarize as “integrate but hedge” or “integrate but have an insurance policy”. So, we opened the hand to China to join the international system, particularly the World Trade Organization – the U.S. helped to sponsor Chinese membership – and at the same time we kept the insurance policy for the U.S. and Japan, in case something went wrong. That policy, I think, has actually worked relatively well. I remember sitting at a summit between President Clinton and then-President Jiang Zemin – it must have been 1995 – in which Jiang Zemin leaned across the table and asked Clinton: “Do you want a strong China or a weak China?” and Clinton said “We have more to fear from a weak China than from a strong China.” The reason that we could say was because A) we believed it but B) because, with the U.S.-Japan security treaty reaffirmed, we were in a position to actually have a policy of opening to China but insuring against something going wrong. That policy was continued in the Bush Administration. Bob Zoellick, who was then the Deputy Secretary of State, coined the phrase “responsible stakeholder” – that the United States was inviting China to become a responsible stakeholder, which is another way of saying that we acknowledged or recognized the growth of Chinese power and welcomed it. In that sense, I think Obama’s policy of rebalancing toward Asia, the framework had already been set by the work in the Clinton Administration and in the Bush Administration. As I used to sometimes say, to summarize how we saw the optical relationship – a triangle of good relations between the United States and China, the United States and Japan, and China and Japan was the basis for stability in the region and that stability would produce more prosperity. Here you have the 1st, 2nd, and 3rd largest economies in the world – treating Europe as separate countries, rather than as a single entity – in terms of national economies. If they were able to have stable political relations and growing economic relations, that would be good for China, good for Japan, good for the U.S., and good for the world. So, that was the framework of the American policy. Now, what could go wrong? Well, one of the things that could go wrong is that there are certain actors in the region, North Korea in particular, that are totally unpredictable. We have no idea how the drama in North Korea is going to turn out. We do know that they often take high risks, for example the sinking of the Cheonan and that these risks may get out of hand. So one possibility is something goes wrong in North Korea. All the more reason why having a strong alliance between the U.S. and Japan, and the U.S. and South Korea, is important – and those are points that Obama is touching upon on this trip. The other thing that could go wrong is some miscalculation that would occur in an atmosphere of rising nationalism in both countries, as Ezra described the use of patriotism or nationalism for political support inside China. I think we’re seeing some of this returning inside Japan, though nowhere near the ways in which it has been exaggerated – Japan is not becoming a nationalistic, militaristic country as propaganda puts it – but there is a right wing of the LEB, the kinds of pressures that led to the visit to the Yasukuni Shrine, an so forth. The danger is that some event will occur in that climate in which it will be difficult for political leaders to maintain the situation because of domestic opinion. In 2012, after the latest dispute between China and Japan over the Senkaku/Diaoyu Islands issue, Hillary Clinton asked me and 3 other former government officials to go to Tokyo and Beijing and to call on the Prime Ministers of these 2 countries. I came back convinced that neither country, at the top, wanted a conflict – I mean, there was a pretty clear consensus on that. But the danger is something that would start from the bottom up – some miscalculation that, as escalated in a climate of nationalism, would be difficult for top leaders to control. The North Korean scenario worries me most. The miscalculation of something happening in the Senkaku/Diaoyu Islands is the one that worries me next. Kevin Rudd, who is here and is the former Prime Minister of Australia, and I wrote an Op-Ed in The Washington Post on Sunday in which he said the best way to handle the issue of the Senkaku/Diaoyu Islands is to go back to the wisdom that Ezra cited of Zhou Enlai and Tanaka. What Zhou Enlai and Tanaka said is “Let’s put this off for future generations. Trying to resolve the sovereignty issue at this point is not going to work, so rather than deal with that sovereignty issue, let’s do something that takes the issue off the table while leaving the question undetermined for another generation.” One of the things that he proposed was treating these Senkaku Islands as a maritime preserve which would mean no habitation, no military use and it could be a way of taking the issue off the front burner of the stove, where it might boil over and spoil the other dishes and pushing it to the back of the stove where it might simmer for another generation or so. Whether that’s the answer or whether there are other answers, I think the important thing is that the basic framework that the U.S. has in its rebalancing toward Asia is not containment of China, it is to try to create this stable triangle of relations between the U.S., China, and Japan and to make sure that triangle remains stable we’re going to have to use a bit more imagination of how we deal with the unpredicted or unpredictable, such as events in North Korea, or miscalculations in the Senkaku/Diaoyu Islands. Prof. Quelch: Joe, thanks very much. I want to turn to Prime Minister Rudd in a moment, but if I can just insert a couple of very short questions for you. Has Washington been surprised – indeed not just Washington, but Brussels and Tokyo, as well – by the speed with which China has come on in the last 20 years? So, when Clinton said we prefer a strong China to a weak China; well yes, but not that strong of a China. That’s question number one. Question number two is, has Washington come to terms with, and appreciate, how to deal with a second-time Prime Minister of Japan who perhaps has taken us and the world by surprise, perhaps not, in terms of the forwardness of his stance on security matters for Japan? Prof. Nye: Well, on China: China has done better than expected, particularly after the 2008 financial crisis, where you had growth in the range of 10% or more. But, back when Ezra and I were following this issue and trying to project the future of China in the early 1990s we were projecting 7% and 8% growth. So, in that sense, yes China has done better but its not as though we were expecting China growing at 3% or 4% that suddenly became 10%. It was in the ballpark, or in the range that we expected at the time. On Japan, and Abe’s positions on defense: actually, these are quite reasonable positions, which the Americans have supported. What I’ve said a number of times is, I have no objection, and I don’t think most of my friends in the administration have an objection, to the substance of Abe’s defense package; it’s the fact that he’s wrapped it up in an old, 1930s newspaper. It’s like being given a gift, which is not a bad gift, but with ugly wrapping paper. I think that’s been counterproductive from the point of view of Japan’s own objectives. It’s not the substance of what he’s trying to do; it’s appealing to nationalism and going back to history. Things like threatening to revoke the Kono Statement or the Murayama Statement, which were apologies for terrible things that happened during the 1930s and 1940s. They should never raise this. Prof. Quelch: What is your sense of the U.S.-Japan treaty obligation with respect to how far the U.S. should go, or is required to go? Prof. Nye: Well, I think it’s interesting that President Obama yesterday reaffirmed the fact that Article 5 of the U.S.-Japan security treaty covers these islands. The American position on this has been that when we handed back Okinawa in 1972, we handed back administrative control of the islands to Japan. Whatever position one might take on the battle fence in the 19th Century, which goes back to the original question of who did what to who in terms of sovereignty, since 1972 it has been crystal clear that we had administrative control of these islands, we handed them back to Japan as part of Okinawa, and therefore they are covered by the treaty – the Secretary of Defense has said that, the Secretary of State has said it, the President has said it. I think it’s important that there be no ambiguity about that so that there is no danger of miscalculation. So, I agree with what Obama did yesterday in reaffirming that statement. Prof. Quelch: Alright, let’s turn to Prime Minister Rudd. The benefit here is that Australia is a neighbor in the region and therefore has, I think, a perspective on this trilateral relationship we’re discussing here that is particularly helpful for us at this stage of the conversation. Prime Minister Rudd: Thank you very much and thank you to those who originated the Boston Global Forum. A couple of points about how we got to where we got to on China and Japan, where it is now, and some thoughts about the future. Ezra’s insights are quite profound in the sense that the Senkaku/Diaoyu Islands are a modern manifestation of an ancient problem – the problem with this modern manifestation is that it is potentially a very dangerous manifestation. The reason for that is not because either Beijing or Tokyo wish to use armed force to resolve this problem finally and formally, with both sides increasingly aware of how toxic that could be for each other. It is, as Joe just pointed out, a sheer phenomenon of crisis management, which we all know from history can go any which way, where rational men ultimately subsume direction to sub-rational passions, otherwise called the body politic within their respective countries. Internal perceptions of where leadership on their next [inaudible]. Therefore, of all the recent things we have seen in China-Japan relations, this one worries me the most in the last 20 years. I have been around on the dance floor on China-Japan and China-Japan-U.S. for the better part of the last 30 years and seen most of the manifestations of it one way or another, either as a diplomat or as a politician or as the Prime Minister or as Foreign Minister. The second point about history is the big toxicity of anti-Japanese sentiment within China itself. I was serving in Beijing at the time when Hu Yaobang issued the invitation to 3,000 Japanese students. I remember wandering out to Beijing Airport and I sat there in our embassy car and watched these 3,000 kids come off the plane and all walk to their buses – there were not a lot of things happening at Beijing Airport in those days. My Chinese driver at the time said that this was going to go very badly. I asked him “What do you mean? This is a great step forward. Yaobang, he’s forward-leaning, comes directly out of the Deng Xiaoping normalization.” He said “Well, we think this is just over the top and too much.” It got outside the pace of what they anticipated to be the normalization period with Japan, and the rest is history in terms of Hu Yaobang, but this is just one element of the reasons that brought him down. That brings us into the present, in which we reinforce again Ezra’s sage observation about the recent visit of Hu Yaobang’s oldest son Hu Deping to Beijing. Most things in China are not an accident – Hu Deping’s visit is certainly not an accident and it’s worthwhile to think through why that has been made possible at this stage. I think there are two reasons: one is tactical and the other is somewhat strategic. The tactical reason, of course, is the upcoming hosting of the APEC summit in China, where, because the heads of the APEC economies represent economies and not countries, technically, the Chinese have no alternative but to ensure that Abe is invited and welcomed and accepted – Taiwan is a member of APEC, Hong Kong is a member of APEC, etcetera. So, whether the Chinese like it or not we have a Abe Prime Ministerial visit rolling down the railway tracks toward you and this can go either of two directions: spectacularly bad or manageable. Therefore, the Chinese find themselves in an immediate tactical diplomatic need to manage tensions down on this, at a tactical level. For me, that is less significant than what I think has been the more recent strategic calculation by Chinese leaders, and I cannot speak for Japanese leaders because I have no direct source of information although I assume a similar logic prevails, but I don’t know so, and that is, our friends, including the military you referred to before, I think have done some pretty basic analysis of the scenarios that would unfold from a conflict by miscalculation in the East China Sea, and most of the scenarios are pretty bad on multiple levels. Number one is a Chinese fear that they would be perceived in the international community as an aggressor, simply because of perceptions of relative size and frankly the way in which China has positioned this issue over time, and I’d say that’s an active Chinese perception that they would suffer considerably in global international public opinion. Number two is that they have, I think, a genuine concern that if there is a limited conflict in the East China Sea that China would not necessarily comprehensively prevail – Japanese naval capacity is not insignificant if you’re managing an engagement between the two, leaving aside the American alliance obligation, and frankly you have a real problem on your hands if its not a clean win from Beijing’s perspective. I think this has caused the strategic realists within the PLA in particular to say that this is not trending in the right direction if we have the 2014 equivalent of a Sarajevo-type phenomenon on the high seas and all the diplomatic communication and signaling and wrong signaling gets out of control and we escalate into an incident. The third strategic reason though why the likes of Xi Jinping are concerned to see this managed down over time is that this frankly is bad for business – it is bad for the core economic program, which is the first priority in Deng Xiaoping’s policy priority list. We all know that the successful transformation of the growth model lies at the absolute center of Chinese priorities at present because they know the existing growth model is running out of time and the new growth model is a massive transformation exercise. If there were to be an outbreak of major strategic instability in East Asia, that undermines the trajectory of the economy. This dovetails to Joe’s point about what makes him most anxious at night, which is the North Korean scenario, which makes us all most anxious at night because it is a known unknown, and it is a really bad unknown. But given, that the controllability of the activities of Pyongyang are, at best, limited the Chinese, I think, are trying to de-risk their strategic environment to some extent because of their fear of where this could lead in terms of the viability of their long-term economic growth trajectory. Mind you, for the same reasons, you have seen, I think in the last 12 months, the most significant moves by a new Chinese leadership in reducing, frankly, the warmth of their relationship with Pyongyang through a series of actions, which have been read loudly and clearly in Pyongyang, I think, although we don’t know what precise long-term effect that will have, but it is simply a manifestation of the same logic. So, where to from here? The devil’s dilemma is this, again I go back to the great opening remarks from Ezra about the fact that not only do we have this historic toxicity between China-Japan going back several centuries and several thousand years for a multiplicity of reasons which are cultural and civilizational, and in part racial, but also the most horrific history that we saw in terms of the brutality of the Japanese occupation of China. Japan, in its current circumstances and its future capacity to deal with this makes it infinitely more complex because of decisions to go to Yasukuni and to continue the controversy over Japanese school textbooks in terms of the absolute, objective phenomenology of the brutality of the Japanese occupation during the second World War – it is not subject to historical dispute, it is a fact, and the best thing our friends in Tokyo can do to deal with complexities we now face at a strategic level is to deal with that comprehensively and not attempt to resurrect that ghost from the past. Someone as wise and as sagacious as Deng Xiaoping, for whom I have enormous respect, knew that if we took the genie out of that bottle we never know where it’s going to land and hence his conversation with Tanaka back then and his use of “lets not actually have a debate about the past, it’s going to take us in horrible directions – lets only focus on the future.” My final point therefore, in the midst of this in terms of the devil’s dilemma is, that nationalism and that patriotism is a potent and dangerous box for either side of this relationship to draw upon in terms of dealing with domestic political and broader problems. We know that from history in other contexts, but in this case it’s particularly dangerous. Every time I go to Beijing, which is usually about every 6 weeks, I flick on the TV news and what I see in the first bracket at the top of the news in item 1, 2, or 3 is some other rendition of some historical Japanese atrocities somewhere, often on battle fields I’ve never heard of, and I’m a reasonably keen student of the period. So, this easy fallback to deal with major national political challenges or international political challenges, which is to dip into the box of I would call it “cheap patriotism” on either side of the equation has all sorts of, I think, potentially very disastrous consequences for both sides. Prof. Quelch: If I may, Prime Minister, what can those of us who are not Chinese or Japanese do in the face of those boxes, which are very country specific and very culture specific? Prime Minister Rudd: I think, in terms of the historical and civilizational factors, the more we say to our friends in Tokyo “just get square with history” the better. I know it’s uncomfortable for our Japanese friends, but it’s the truth. As someone who has been in and out of China for 35 years, the sooner this is put to bed the better for everybody. That’s the first point, but the second one is this: for the future, Joe and I as realist observers of all this, know that this Senkaku/Diaoyu thing is unfixable – it is just inherently unfixable. Smart people since 1972, even if they forgot it at the margins of the normalization discussions back then, smart people then and now realize it is still unfixable and will be forever, probably. Therefore, the mission in life without any elegant diplomatic phraseology around it at all is for friends and partners of Japan and China to accommodate this in a way that parks the problem, puts it on the back burner, and leaves it there and the diplomacy lies in the simple transition mechanism from taking from the front page to the back page, never quite into the comic section, but from front page to back page where Deng Xiaoping and the smart people in early 1970s knew it should always be in the first place. Prof. Quelch: I think, at this point, I’d like to turn to former Ambassador to Japan, David Warren, who is in London and particularly, in light of Prime Minister Rudd’s comments, is someone who’s had two tours of duty in Tokyo during your distinguished diplomatic career. How do you see the deep cultural issues Japan vis-à-vis China that Professor Vogel and Prime Minister Rudd alluded to? Ambassador Warren: Well, John, thank you and thank you for inviting me to join the debate. Can I correct you? I had 3 tours of duty in Tokyo and my first tour of duty in Japan was when Deng Xiaoping visited Tokyo in 1978, so I remember those doors opening very much. The cultural issues you referred to are very complex and difficult. I want to start by agreeing strongly with what Prime Minister Rudd said about the importance of sending a message to our Japanese friends that they should not seek to revisit history in the way that some of the extreme nationalists within the LDP and intermittently Prime Minister Abe, in some of his statements, appear to want to do. I do want to set this in a context of Japanese perceptions Chinese intentions. I was very struck when I was ambassador between 2008 and 2012, during a period, most of which we had the previous opposition, Democratic Party of Japan, in power and how strong of a consensus there was across the political spectrum that China was a proximate threat to Japan, to Japan’s sphere of influence, and that Japan stood directly in the way of China’s intention to challenge the hegemony of the United States in the Asia-Pacific region. I went to countless presentations, not just by nationalists politicians – by internationalist politicians; doves as well as hawks – which seemed to accept this premise as underpinning the vulnerability of Japan in this context. From an outside perspective it seems to me that the Chinese have three key strategic objectives at the moment: one is to demonstrate that Japan does not control it’s own territory; secondly, if they can, to drive a wedge between Japan and the United States, in terms of their overall relationship; and thirdly, again if they can, to ensure that Japan, so to speak, fires the first shot or appears to be the provocateur in the relationship. Those who have spoken so far are absolutely right to say that every time the Japanese politicians or the Japanese Government go atavistically into their historical analysis and seek to revisit their recent history, they play directly into Chinese hands. It’s very striking, I think, that Abe has a high degree of popularity, and that is because he is injecting a much greater degree of momentum into the Japanese economy, some of that popularity I think does stem from a sympathy for his nationalism, but I believe that the center of political gravity in Japan is still more centrist than nationalist. It was striking during the recent election for the Tokyo Metropolitan Government that the extreme nationalist candidate, the former Chief of the Air Staff, [Toshio] Tamogami, came forth and, those of us who were watching these elections closely, were concerned that he came a less bad forth than we would have liked but nonetheless the center of gravity of that local election was very much centrist. I believe that there is still a strong desire among Japanese people to get the balance right between maintaining pacifism, which underpins the constitution, however much it is reinterpreted as proactive pacifism, and maintaining a sense of national pride, which does not extend to becoming excessively provocative towards Japan’s neighbors, not all of whom, of course, necessarily share the Chinese world-view. It is very frustrating, however, that it seems to be so difficult for Japan to maintain the intellectual front foot in this discussion. The Murayama Apology of 1995, which was the apology for Japanese war crimes endorsed by the then Murayama Government, is a very powerful statement. It makes explicitly clear that Japan not only behaved wrongly and that its foreign policy was wrong, but that its rule in Asia was colonialist and its military was aggressive – that statement has been endorsed by every Japanese government since 1995, including the present nationalist Abe Administration. So, it is frustrating that it remains difficult for Japan to take the initiative in a way that enables them to get beyond what I would describe to be mischievous Chinese accusations and that in some way the Senkaku/Diaoyu argument represents a Japanese desire to revisit the war. I am always an optimist, as a diplomat, and I only have to think back 6 years to a Japan-China relationship that was much more open, and positive, indeed strategic and beneficial in the terms of the formal language at the time of the last Abe Administration and during Prime Minister Fukuda and even Prime Minister Asō, although Asō himself came with a very strong tradition of Japanese nationalism. So it is possible to craft a pragmatic relationship that can work. But those who have so expertly introduced this discussion today are absolutely right to say that the relationship has deteriorated to its worst degree over the last 40 years and that it is necessary, as a first step, to ensure that whatever else Japan does it does not retreat into this atavistic nationalism and give China more ammunition in its propaganda war. I find it very hard to escape a realist analysis which is that, in the absence of the effective groundwork for a proper pragmatic relationship between Japan and China, it is the United States that has to demonstrate the effectiveness and the force of its alliance as clearly as President Obama did in his public statements yesterday in Tokyo to the effect that the Senkakus were clearly covered by the security treaty and that America would honor it’s obligations under the security treaty. In the longer term, we have to work for a multilateral environment and framework within Asia that enables us to contribute to a resolution of these disputes, many of which are not even acknowledged as disputes by the major protagonists. There is quite a lot of thinking that has gone on among foreign policy experts on what the different layers of that multilateral framework might be. But at the moment we have a very classic struggle between two powers on their red lines and no multilateral framework within which to set that fundamental disagreement and that is why it is so important that the United States send unequivocal messages, which is what I read President Obama as having done during his visit to Japan. Prof. Quelch: Thank you, Ambassador. I think, given your comments, it’s a perfect time to move to Tokyo. In Tokyo we have a number of distinguished faculty members and guests including Professor Sonada of the University of Tokyo and Professor Dairokuno. Gentlemen in Tokyo, what questions or comments, briefly, would you have on the discussion so far? Prof. Dairokuno: Good morning, Boston. My name is Kosaku Dairokuno from Meiji University. I agree with the argument of the Ambassador very much. We have to be calmed down and to look at the reality between the two nations. Actually, China has become the largest trade partner since 2012 – that’s one. Number two, there are more than 22,000 Japanese companies in China hiring almost 10 million Chinese people. Japan is the second largest direct investor in China and both Japan and China are rapidly aging societies. So we really have to worry about the future – how to finance the patients in the future. By 2030, the number of people over 65 in China will be 300 million people, so we really have to worry about that. If we fail to meet those programs that will lead to instability in Chinese society. I really feel that it is not the time to flirt with nationalistic sentiments but to work on those new programs we share. We have to build up that new trust between the two countries. So, we have to come up with a way to build up that mutual trust, in one way or another – maybe exchanging more scholars, more economic leaders between the two countries. When I was in Beijing in December last year, I talked with many professors over there at Beijing University, Peking University – they are very objective, they know what they need to do, they worry about the problems in the future. So, there are many, many routes to talk about. Those people in the diplomatic course do not have a chance to talk to any one of those professors, even their new president of Peking University. We organized a kind of anime exhibit by the university. More than 2,000 students came over to watch and some of them actually sang the title songs of the anime movies in unison in perfect Japanese – they don’t care about the Senkaku Islands. So, we have to set the environment to talk about the common issues. That’s the most important thing. One more comment. Ambassador mentioned about that gubernatorial race in Tokyo. The issue really analyzed the result of the election. He got the most votes from the young people, but they do not want to change state of war too much. They are worried about jobs, their futures, so that’s a really domestic issue, they just cannot find any good politicians replacing him. So that’s what I think about during the discussion so far. Thank you very much. Prof. Quelch: Thank you so much. Can we just hear briefly from Professor Sonoda and Professor Hei Seki, if you have any further comments? Professor Sonoda: My name is Professor Sonoda. I totally agree with my colleague’s idea. 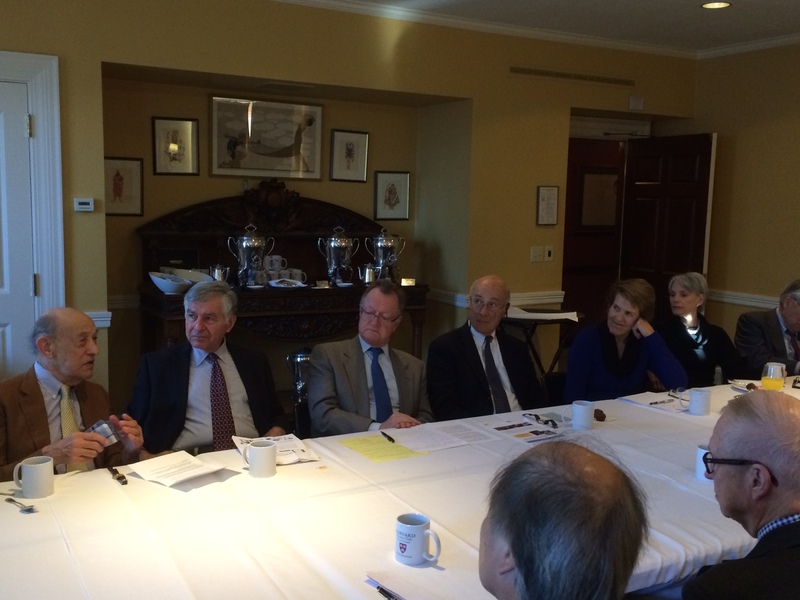 I was asked to say something about the U.S. goal to make the China-Japan relations better. I thought that U.S. can accept their distance between U.S. and China-Japan as cutting edge, comparative advantage to make China-Japan relations much better. I am really curious how you regard yourself, you have an idea about how the U.S. role to make the Japan-China relations better. That’s the only question I have right now. Prof. Quelch: May I ask, did you have the same reaction to President Obama’s comments in Tokyo as the Ambassador had in terms of a strong reaffirmation of past commitments or are you skeptical? Prof. Sonoda: In the short term, it’s good but in the long term it’s not good, I think. Prof: Quelch: Can you just say why? What leaves you skeptical? Prof. Sonoda: Such comments might evoke some discussions within China, which makes our relations a little difficult. Prof. Seki: I am originally from China but I am living in Japan, doing activities in Japan. When we discuss about the relationship between the Japan, U.S. and China one thing that we have to remember is that only China has a totally different political system, which is that China is a totalitarian regime. So, when the Chinese political leaders think about international relations, what they have in mind is actually how to maintain their regime. In Mao Zedong’s era the main ideology was communism – that was what pulled people together. But then in Deng Xiaoping’s period this ideology of communism collapsed. So, returning back to the current Chinese Communist Party, what they can rely on is this notion of nationalism and patriotism. Prof. Quelch: Can I stop you right there because I think Dr. Seki Hei represents a very important sentiment within Japan, I’d just like to ask Professor Vogel, who I’m sure is familiar with this point of view, looking forward, what would you say to Dr. Seki Hei as approaches that we in the west or he in Japan can take towards breaking this gridlock of nationalism? Prof. Vogel: Well, I agree with Prime Minister Rudd that the Japanese can do more to package what they feel about World War II. I think, particularly the young people in Japan, do not know enough about the details. So, when a young person goes to China and doesn’t know anything about the Nanking incident he is in trouble. I think, therefore, you need an overall, something like a textbook that is widely read in Japan and widely publicized and gives an objective account of World War II – there have been lots of accounts of World War II but we need something that is general, systematic, that can be understood by Japanese, and that can then be shown to people of the countries. In fact, China underestimates how much the Japanese are rejecting World War II. The peculiar thing is, as Joe Nye pointed out, when the Chinese say that they want to have a more peaceful Japan, they push Japan in the direction they don’t want them to come. I think that it is not only Japan that has some things to do. I think what the Chinese have to do is to give a more objective account also and I think there needs to be more reflection in the western press of acknowledgement of how serious the patriotism and how one-sided it is in China. One thing that I have tried to do is to bring together people from Japan, scholars from Japan, China, and the west to study what happened in World War II. I think that we have made some breakthroughs now among scholars studying that period in the three countries, they can talk to each other in quite a professional way. It took 50 years to do that, but I think we’ve made some progress. Prof. Quelch: I think the first of our professors in Japan made two very important points: one on cultural and educational exchanges, especially among young people as a vehicle to move the needle. Also he highlighted the economic interaction between China and Japan and the importance of economic growth for each country to deal with the aging population environment that they both face. So, I want to go at this point, to Andrew Cainey. Andrew Cainey is formally of Booze Allen and now of the Fung Global Institute. Andrew, you’ve got some, I think, pretty good experience there in China. Are you in Shanghai today? Mr. Cainey: I’m actually in Seoul. Prof. Quelch: If you can talk to us a little bit about the trade and investment interlock between the two countries, which may act as a very important vehicle for ensuring stability here. How do you see it? Mr. Cainey: Yes, several of us have touched on the very large, interconnected economic relationship back here going back to the open door policy with Deng Xiaopoing. If we look back from 1995 onwards Japan got around half of its export growth from the exports to China in that period. It’s still a very large export market for Japan, but Japanese businesses have become somewhat frustrated with the political dynamics and the market over the past 18 months, couple of years, and so that very big presence remains – there’s still $9 billion a year of foreign direct investment going into China from Japan, but they’re starting to look elsewhere as well to balance things out. So, from the Japanese side there’d a great desire to get greater growth into that relationship in support of the Abe restructuring and re-dynamism of the Japanese economy. Really, there’s a very similar dynamic on the Chinese side. So the Japanese have played a very helpful role in the industrialization previously. What is interesting to observe is Japan has, for a long time, been the main source of imports – about $130 billion or so going into China from Japan. Just this year, Korea is now overtaking Japan as Japanese growth of imports into China has leveled off and Korea’s kept on growing. Now a lot of that is pure economics around similarity in the industrial base, the exchange rates, and so on. But there’s also, no doubt, a political aspect to that. The Chinese, very much, would want to keep the strength of this trade relationship because a lot of these imports then come in and play important roles within the exports, and that’s just a true for the multinationals operating in China as it is for the Chinese enterprises. We saw with the Fukushima disaster the tremendous interconnectivity in supply-chains. So you can take one piece of the electronic components out of Japan doesn’t make its way into China for some reason or some disputes – that has a lot of knock-on effects, it has a lot of knock-on effects around China’s reputation as a place to do business, it has a lot of knock-on effects around China’s ability to develop its own enterprises and its own export base, all of which, as Prime Minister Rudd said, takes away from what Xi Jinping is trying to do in the transformation of the Chinese economy. So really, both of these countries have a very strong and interdependent economic relationship, there are some clear signs of some faltering in the past year of two, but also both sides have great interest in trying to get this on the right track again. Prof. Quelch: Thank you. Let me, if I may, open it up to some of our other guests here in Cambridge. In particular, we have with us Suzanne Ogden, who is a Professor of Political Science specializing in Chinese politics at Northeastern University. How do you see the situation looking at China and the political sphere? Do you see it similarly to Professor Nye? Or are you slightly less optimistic? Prof. Ogden: Well, I think there’s a lot that China can do to improve relations with Japan and vice versa. One of the things I’m struck by when I’m in China is that Chinese people, and college students especially, really don’t know much about Japan and they don’t know about Japan’s special role in China’s economic development since China opened up. The government doesn’t tell the Chinese people how important Japanese investment has been. I think that one of the things that could be done is, not only to let them know objectively about World War II, but even more important to tell them just how important Japan has been in China’s growth. I think one of the things they could have done, and should do now – Japan has put all of this money into China, in terms of investment, but also grants of aid – they should set up centers for Japanese studies at some major universities throughout China such as they did here at Harvard in the Reischauer Institute. These kinds of centers could train students and they could be a place where Japan specialists could be developed and there could be many more exchanges. Considering they’re next-door neighbors, there’s virtually no exchanges between Japan and China. A part of this is Japan’s fault because the Japanese don’t really relish going abroad as much as the Chinese do, but much more could be done there. So, a greater use of soft power overall. I think, finally, that one of the big problems is the law of the sea. The problem is this 200 nautical miles in every direction exclusive economic zone. If they could amend the law of the sea to insist on joint exploration when there are questions. So, that would be an important step forward. I will say that in today’s paper some people have brought up this question of special and unexpected escalation, unplanned disasters. They have signed a code for unplanned encounters at sea. So, there is a new code out there. Prof. Quelch: Well, let me go to Joe for a moment on two things. First of all, do you think that Japan – as the expert on soft power – do you think Japan is weaker at soft power projection internationally than China? That seems to be the consensus. And then secondly, with respect to Suzanne’s law of the sea issue – I recall, I think it was 4 of 5 years ago, a cooperation agreement was signed between China and Japan for undersea gas exploration, for example, which seemed to be a very hopeful sign, but again, recent events seem to have undermined those initiatives, which were doing quite well a few years ago. Prof. Nye: In 2008, Japan and China had negotiations over a gas field, which lay underneath their border and they agreed, in principle, to joint exploration. But this arrangement fell victim to the rising tensions. Again, Kevin and I mentioned this in our op-ed on Sunday. So, this is something could definitely be revived, but I think Suzanne is right. On the question of soft power, it’s interesting, Japan does pretty well in soft power. China spends too much of its efforts on soft power working on governmental propaganda, which isn’t as effective as, lets say as anime, which comes bubbling up from below. The interesting puzzle for China on soft power is that it’s soft power is better in places like Africa or Latin America, which are far away, but its soft power in South East Asia is less. One way to think of this is that you can’t use hard power, in the form of ships to block off the Scarborough Reef from Philippine vessels and expect your soft power in Manila to increase. In fact, the two are inversely related. So as China uses its hard power to settle these disputes in the region it undercuts its soft power. China has got to develop some sort of framework where it can avoid this dilemma. I think they should go back to the 2002 agreement to create a code of conduct for the settlement of disputes in the South China Sea, which ASEAN members, and make it multilateral, which the Chinese have never quite wanted – they’d like to have it bilateral. I think it’s in China’s interest to have a multilateral code of conduct. Prof. Quelch: Let’s go to one of our other guests, Ambassador Bindenagel. Ambassador, you’re coming to us today, I think, from – are you in Europe today? Ambassador Bindenagel: No, I’m actually in Chicago today. Prof. Quelch: From Boston’s point of view, that’s as close as Europe. You’re the former Ambassador to Germany, so perhaps a European perspective would be helpful on this whole issue. How do you think the Europeans would be looking at this situation and what the United States could potentially do to be helpful, if anything? Ambassador Bindenagel: Well, I’ve been struck by the discussion here about nationalism. Obviously, with the invasion of Ukraine by Mr. Putin, nationalism has taken on a different point of view, and has really risen again in the European discussion. If I flip back to my time as Ambassador for Holocaust Issues, there’s this ghost of the past that we’ve talked about here and as Professor Vogel has noted, there is a time to set things off the table and there’s a time to put them on the table. I would argue, as Joe has said, with the issues that are out there today, it is very important that we put certain things, unresolved issues aside and try to work, as we’ve heard in the conversation, together on very specific issues in the conduct of maritime affairs, the law of the sea, resource development, energy – those are very important in the immediate policy area. But I wouldn’t put aside the issue of the historical animosity and the resentments that are still out there and I would put on the table a really very important element and that is that we should pursue the idea that the use of force is not acceptable – that all parties agree not to use the use of force and have a discussion at the beginning and then turn to the question of the past. As Ezra Vogel noted, it is important that scholars have had some discussion, and to bring in that discussion from the European point of view, what we’ve done for the last 20 years, as the United States, we’ve tried to bring the parties together – not in the political realm, but outside the political realm – to talk about the history and where the history is going. Even in the Eurozone crisis you saw the Greeks portraying Chancellor Merkel as a Nazi. So, these issues will not be set aside and forgotten, but they’ll be used, as we’ve seen in the discussion between Japan and China, to stoke nationalism. From the European’s point of view, they’re very concerned. It’s very interesting, as she visited Berlin a week ago or two weeks ago now, the party asked to visit the Memorial for the Murdered Jews of Europe. The European Government, that is Merkel’s Government, said no. They did not want to find themselves between Japan and China on the issue of history. So, there’s a sense that the history needs to be addressed but that it be addressed at a lower level or a level that allows the political level to work for mutual projects and there are a lot of mutual projects. The law of the sea was mentioned – how do you manage those issues? How do you manage the issues of resources and conflicts around the islands? From the European point of view, they thought they had moved past nationalism but Putin has changed the rules and we’re back into ethnic nationalism and the use of force in Europe, that’s a very disturbing point, and they look to Asia and the conflict around these islands, and they say “we don’t want any part of it because we know where it leads”. Prof. Quelch: Thank you very much. Jill Dougherty, a CNN correspondent for many years in Moscow and other parts of the world, how do you think Russia, as an Asian power that has not been mentioned so far in this meeting – how do they view the Japan-China-U.S. relationship? Ms. Dougherty: Well, I think actually, if you want to look at what’s happening right now, my use might be best to focus on exactly what the previous speaker was talking about, which is Ukraine. Just generally, to answer your question John, the Russians have been referring more and more to their relationship with China, not just energy, but an alliance in the wake of what has been happening in Ukraine. For example, they have made a point that sanctions will not work because we can do energy deals with China – gas, oil, we can sell as much as possible, it really doesn’t make any difference what the United States or Europe should do – that is their line. Whether that is correct is a big question, but that is what they are saying. Just in general, I think the fluke almost of what has happened in Ukraine and Crimea – the unexpected events there – have raised a number of issues. I think one of them would be philosophical, or at least the logic that Putin was using for moving into Ukraine and also potentially over the border into the Eastern and Southern parts of Ukraine, is this issue of secession or ethnic areas, his definition of what Russians are, is very upending understandings that we’ve had for a very long time. Now, it cuts a number of ways. He has the right now – Russia has the right now – to define how they will act in the world. Of course, he is saying that there are ethnic groups within Crimea and ethnic groups within the Eastern parts of Ukraine which belong to a greater Russian ethnic identity – national, cultural, and ethnic identity – and that he has the right to protect them. Prof. Quelch: So, I hear you saying that China, somehow or other is going to take a lesson from Putin in this regard. Ms. Dougherty: Well, I don’t think that they necessarily are because, of course, it raises unpleasant issues, which we’ve been discussing and the point was made before – Taiwan, Tibet, you could mention even Hong Kong in a sense, secession areas. So, China has been relatively quiet. They have indicated that they tend to support the United States and the rest in the Ukraine conflict but they have not overtly come out and been very supportive of that because I think it cuts two ways: they want the energy relationship with Russia and they want the geopolitical relationship with the United States. Just two very quick points, I do think that this conflict has also raised the question of whether the United States would pivot, or turn its attention, to Europe again to the detriment of the focus on Asia. President Obama’s being in Asia would tend to undercut that, but there is a certain fear that that might happen. This idea of upsetting the rules though I do think is the most disturbing trend of all, that there is very little predictability. Prof. Quelch: Thanks, Jill. David Andelman, World Policy editor. Mr. Andelman: I have a slightly counterintuitive perspective. In our winter issue of World Policy Journal we focused on China and India. Frankly, I tend to think that this is going to be, over the next century or so, the principle friction and conflict points that are increasingly important between China and the outside world. I raise that for several reasons. First of all, the dynamics there are very critical. Let me underline forces that really motivate a lot of what is going on in China right now: population and food. Both of these countries face relatively similar challenges, shall we say, challenges that are somewhat different than the challenges facing Japan right now. I think finding room for their people, food to feed themselves, for the Chinese and the Indians, this is going to be of vital importance, not to mention the natural resources that go beyond that – water, oil, natural gas, and so on. These, of course, are some of the increasing frictions with China and Japan for undersea resources. Unfortunately there is as little understanding between China and India as there is between China and Japan. A lot of this is historic but we don’t have the time to go into this. I want to raise a couple of other parallel points. First of all, Obama’s trip through Asia. I’m a little concerned that it is wrong-headed, in a way. I think what the concern should be is whether he, in fact, by the nature of this trip by circling China, is going to raise the paranoia in China over the future role of the U.S. in Asia. That’s one point I’d like to make. I’d also like to challenge point that was raised by a couple other of your previous speakers. First of all, the question about whether the military might conceivably fight Japan. I see it a little bit differently. I think the military in China would like to have the perception that they could win a war with Japan without necessarily actually going all out in doing that. That’s the principle reason, I believe, for their push through aircraft carriers, blue water navy, and so on. They want the perception out there of being able to project their power wherever they feel is necessary without actually going through the potential difficulties of doing so. The second question is this issue of containment. I am concerned about the use of this question of counterproductive pressures on China being perceived as ganging up on them. I am concerned that this is a real fear for the future and that’s something that the United States, particularly, should guard against and Japan as well. The final point, I think is that if there is going to be a real condominium between China and Japan, I think it is going to come in terms trade and the economy. I’d like to call up a parallel between Taiwan and China. Taiwan and China right now, the Chinese have told me this particularly and the Taiwanese as well, they believe that the cross-China, Formosa Strait trade, banking and other issues are what is really bringing those two parts of the world together. I think that if China and Japan can move in a similar fashion, that this could be very positive for the future. Prof. Quelch: Thanks, David. Let me take, because we’re running out of time, a quick comment from the other side of the table and then we’ll ask Ezra. Prof. Quelch: You go first, we’ll then turn to you and Ezra and Joe will summarize and then Mike will close the meeting. Prof. Rosecrance: Thank you very much, John. I wanted to talk about U.S. policy toward China. I think one of the key things is to avoid, as everyone around this table has said, some sort of arrangement that looks like containment – we want to avoid that. On the other hand, the United States is, as a single country, becoming weaker in world politics over time with the economic growth of China. So, the United States still needs leverage, even if it isn’t going to be containment-style leverage – it needs good economic relations with a whole series of other countries. Particularly, TTIP in Europe, I think that is crucial – that adds another $17 or 18 trillion to the U.S. GDP and that huge amount of purchasing power and industrial knowhow is brought together it completely overwhelms China, at least in terms of technology and a whole range of other things. So, I think one of the key things is to get leverage, which is, at the same time, not containment. Then, in the end, you can bring the Chinese into this – we couldn’t bring them in at the beginning because that was tried already with Hu Jintao and he said no. So, what you want to do is get something that is so strong with the Europeans and the Japanese together with the United States that the Chinese can’t afford not to join it. Prof. Quelch: Excellent point. So, trade and investment can be a key driver of collaboration here. Okay, Professor Hamada, my apologies. Go ahead. Prof. Hamada: When I was appointed the Special Advisor concerning economics I told him [Prime Minister Abe] my ideology is more hawkish and not best focused than his but he appointed me anyways. Also, about the soft power mentioned, I think that Professor Vogel could increase the articulation of the Japanese students. That means that there is something missing as a part of the soft power of the Japanese – they have good artistic, anime, baseball – but I think in public discussions they have problems. I think Max Weber has a vocation as a politician that to be a politician of conviction or a politician concerning consequences. I have to admit that Prime Minister Abe is guided too much by his convictions and not by consequences and I think he is learning. Prof. Quelch: Do you think he is going to pull back from that? Do think that he’s made the point, as someone said earlier, this year and he can now move on? Prof. Hamada: Yes, I hope. I talked with [inaudible] in California last week and he and I agreed that Abe may not be the worst person to be instrumental in bridging China and Japan because Richard Nixon and Ronald Reagan are all considered to be as a conservative but because of their credibility to other constituencies they could achieve that. Let me finish my talk by, I was going to Washington sometime and a Chinese young person asked me “what do you think of the present situation?” So I followed up with the same question to him. 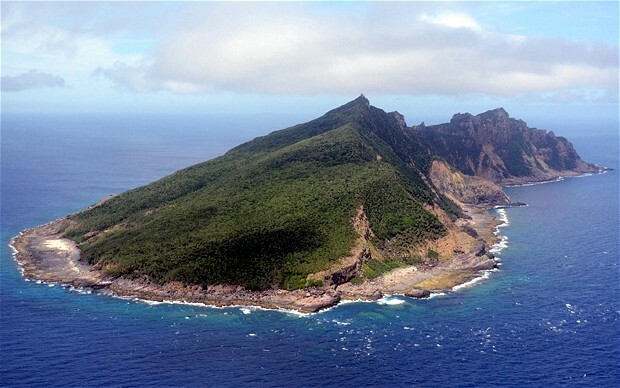 He said: “Look at the Diaoyu or Senkaku rocks and islands – they are nothing. Why do we waste our energy discussing that.” We forget about the possibility of cooperation in game theory from non-zero sum to zero sum cooperation is needed I think. How to achieve that is a politician’s task and not my expertise or something economics can tell you. Of course, because of ideology differences, this is my personal opinion. Prof. Quelch: I think that applies to everybody who has spoken here today. So, we’re out of time. 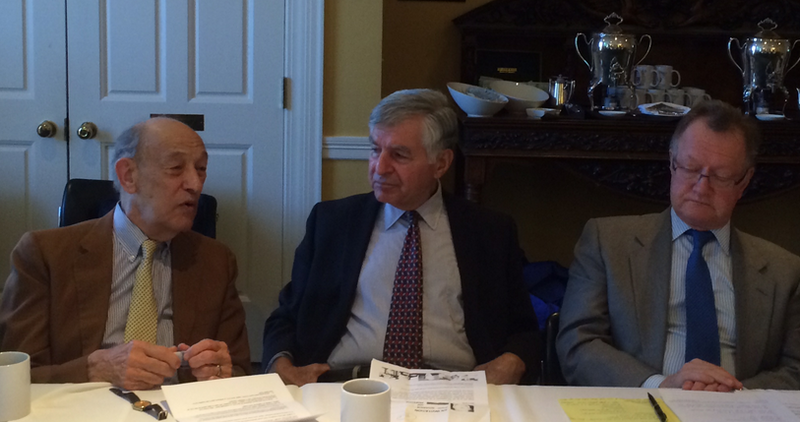 I’m going to have to ask Joe and Ezra to make some closing comments and then turn over to Governor Dukakis. Prof. Nye: Well, as befits something titled a “global forum”, we have had a very rich discussion across several continents. I think the thing to remember is that while we’ve raised a number of problems and earned some possible contributions towards solutions, if you have the largest, second largest, and third largest national economies in the world at odds with each other, we don’t even have to hit a war before we have trouble. So, in that sense, I think it’s in our interest to pursue many of these suggestions that we have heard this morning to see whether we can dampen down this crisis. I come back to the point that Kevin Rudd made that we need to, from an American point of view, try to stabilize that triangle of good relations among the U.S., Japan, and China and that means finding devices or ways to dampen down, if not solve, some these potential threats to the stability of the triangle. Prof. Vogel: I think its been a wonderful discussion and I basically agree with the comments that all of the speakers have made. I would just emphasize how deep the contact already is between China and Japan. The local governors and party secretaries in China want to keep Japanese investments for their local area. When I was in Osaka recently I was told that in a big shopping plaza the second language after Japanese was Chinese. There are over 100,000 Chinese students in Japan and those relationships are really quite good. There are huge Japanese business interests in China. So, I think the trends of economics, and social and cultural relations will do a lot more of the work for all us. I think academics, business leaders, are great leaders in trying to do what is really good for their region. It’s in our interest in the United States to do everything we can to help those two countries work together. We can’t give them orders anymore but we can do a lot to help bring them together and help to promote the kind of cooperation and decision-making at the very top level that is in all of our interests. Prof. Quelch: Thank you, Ezra. Governor. Gov. Dukakis: John, thank you all very much. It has been a great discussion. A special thanks Joe, to you and Ezra, and to everybody here and our friends who participated. Just a personal comment. First that we hope and expect to continue this discussion with at least a couple of additional conferences over the course of the year. Second, interestingly enough, nobody mentioned the United Nations but its Secretary General happens to be a South Korean and presumably knows something about this region as well. It seems to me that there is a lot to be said for the kind of broad internationalization of this in a way that just doesn’t have three of these powers kind of spinning around trying to figure what each is doing. In any event, John, thank you for another great job of moderating. We look forward to joining with all of you in the course of the year and pursuing this discussion and I hope coming up with some serious and important recommendations that will much improve the situation and build a strong foundation for the future. Our thanks to you all.